Beloved native of Highland Falls, and an award winning American character actor. 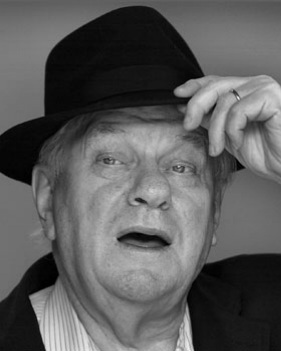 With appearances in over 100 films, his memorable roles include police officers in the Oscar-winning The Sting (1973) and crime drama Dog Day Afternoon (1975), along with the comedies Tootsie, To Be Or Not To Be and The Best Little Whorehouse in Texas, the last two of which earned him an Academy Award nomination for best supporting actor. He won a Tony award for his portrayal of Big Daddy in Cat on a Hot Tin Roof in 1990. 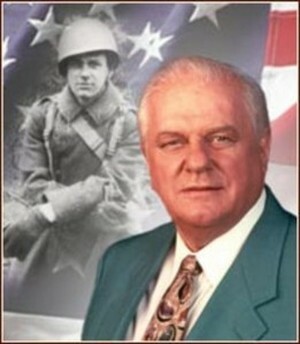 For his service during World War II, Charles Durning was awarded the Silver Star Medal as well as three Purple Hearts. Click here for his words about the D-Day invasion. AR: You started your career as a dancer? On stage? CD: Well, ballroom dancing. And then I drifted into acting. I started as a singer when I was 16, with a band. The guy who was the singer loved his booze, loved the women, and hated to rehearse. So they fired him, and my uncle, who was the piano player, said “hire the kid!” And I was hired to sing. I also liked ballroom dancing and tap. So I taught ballroom dancing at the Fred Astaire dance studio. Every time I was out of work, they’d give me a job as a dance teacher. AR: And you were making your living as a dancer? CD: Dancing came easy to me. Acting came hard. Well, it’s hard for everybody. AR: What eventually got you into acting? CD: Theater. I would rather do a play because it’s instantaneous. You go on the stage, and you know whether it’s happening or not. Somebody asked me, “what is acting?” And I said, “acting is listening.” And if you ain’t listening, nobody’s listening. And that’s all I know. AR: What was your first professional job as an actor? CD: It was a play in Buffalo, which I can’t remember the name of, and then I went off to the war. AR: Do you remember what your first SAG job was? AR: Do you remember around when that was? AR: And you’d been acting on the stage? CD: I was with Joe Papp, who created Shakespeare in the Park. AR: That’s where I started out. In a Tom Babe play. You were in Kid Champion, weren’t you? AR: I did a production of Kid Champion, as well, it was directed by Tom Babe, down at the Public. CD: I was with Joe for 12 years. And he made me do all of the clowns. So I go to him and I say, “Joe, if I’m with you I want to be able to play others than the clowns.” And he said, “like what?” And I said, “Well, Hamlet.” He said, “You can’t do it.” [Laughs.] And I said, “why?” And he said, “Because you don’t know how to read poetry.” What the hell does that mean? I’m doing Shakespeare! And he said, “Yeah, but you’re doing the prose, you’re not doing the poetry.” He said, “Pick that up, there, and read it.” I read it, whatever it was, and I said, “How did you like that, Joe?” And he said, “More to the point, Charlie, how did you like it?” He was hard, but he was fair. And another close friend. I was sorry when he left the country. AR: Yeah, it was a big loss when he left, a big loss for New York, a big loss for the theater. I had an interesting relationship with Joe myself. But we’re not talking about me. AR: You said that acting is listening. I don’t know anybody who wouldn’t say that Charlie Durning isn’t a great actor. A great guy, too, but that’s something entirely different. What makes a great actor? It’s got to be more than just being a better listener. AR: I believe that. It’s simple. But you’re not the same in every role you play. There’s got to be a little more to your process than just listening. Really, that’s all you do? CD: That’s all I think I do. You can see it on my face, how I think. Whether the person is happy that I’m there. I enjoy that. I think that’s what it requires. AR: I guess you also have to be emotionally available though, so that when you do listen you can be affected by it. CD: It works for me. I was kicked out of drama school because I had no talent and no hope of buying any if there was any for sale. And you know who they kicked out with me, who “had no talent” either? Jason Robards. AR: Do you think it’s true you get to be a better actor the older you get? CD: I think that is true. Take a look at people like Thomas Mitchell. They were there before Brando, and Leon Ames, and you know those great old actors who really knew what they were doing. Especially Ed [Edward G. Robinson]. He played it like he wrote it. I didn’t try to copy him, but I try to understand him. And of course Cagney, my favorite, I never could do that. He knew how to be good at rough stuff. But then we found out he could also do more. When he did that dance scene in Yankee Doodle Dandy, he broke a rib but continued dancing. He jumped off the thing, he fell, he broke a rib, and he was in a lot of pain, but he finished the dance. He didn’t let it stop him. CD: Committed. That’s what most actors are. AR: You’ve done so many things in your life. You were a boxer, dancer, singer, actor, but also you were in the Army. CD: Yeah, I landed on D-Day. In the back of a boat. I got wounded three days after D-Day, got a bullet in the hip, which is still there. I spent six months in the hospital, with what they call the million dollar wound. That’s when you go home—you’re not hurt that bad, but you can’t serve. Then the day I got out of the hospital, the Battle of the Bulge started, and everybody had to go up there. If you could pull a trigger, you had to go up. So I went up. I got wounded twice up there and got the Silver Star. But I got out. I did the March to Malmedy—I remember that. When they killed over 200 prisoners. AR: Thank you for serving, and what a hero. It’s obvious, as you talk about it, that you carry all of that stuff with you. Maybe that’s what makes you a great actor. You have this wealth of experience that’s so available to you. Your first big play on Broadway was Championship Season? Was that your big break? CD: That was my big breakthrough, yeah. AR: What actors do you like working with? CD: I like to work with all of them. Sean Penn is one, and the kid who did the Pirate films, Johnny Depp. He’s incredible. I’ve never met him. I’ve met Sean, but never Johnny Depp. Those are the only two people I can think of now that are on the ball. AR: Do you think your earlier start on the stage helped you build a technique? CD: No question. You’ve got to do it. I was just talking to a kid, and I said, “You wanna be an actor, don’t you?” Well, what you have to do is do about three or four years on stage first. If not, maybe you’ll get a series, you’ll make a lot of money, but then you’ll be finished. AR: Do you go back and do theater? CD: I did Wendy Wasserstein’s last play, Third, at Lincoln Center, and I received the Lucille Lortell Award for Outstanding Featured Actor for that about a year ago. AR: Can you describe the difference in technique between working on stage and before the camera? CD: I don’t have any. It’s the same thing for me. I see people who think they have to act and it comes across like acting, and you can’t do that. You watch some of those older guys, the wonderful old actors, and even Clark Gable who wasn’t a great actor. But he knew how to handle it, you know? Look how long those guys lasted. AR: You’ve won a lot of awards in your career, a Tony, a Golden Globe. You’ve been nominated for two Oscars and four Emmy awards. So how do you feel about being honored with the Screen Actors Guild Life Achievement Award? AR: It’s great to win those other awards I mentioned, but this is an award given by your peers, by other actors. CD: I’d rather have cash. AR: [Laughs] That’ll make a good acceptance speech. We also give out the SAG award not only for achievements as an actor, but also humanitarian efforts. How do you feel about that? CD: Well, I’ve done a couple of things, I guess. I don’t usually tell anybody, you know. AR: I think I have an idea, after talking to you today. You’re a selfless, guileless human being. AR: So, let me see if there’s anything else. What was the biggest obstacle you faced in your career? CD: Other actors. Even when you know you could do it better than him, he got it, so you gotta congratulate him. You know not today, but in our time—if you weren’t right for the part, you’d go out and find somebody and say, “there’s a part, and they don’t want me, so you should go for it.” That’s what they used to do. Now, they don’t tell anybody anything. AR: I’ve always believed acting was a team sport. The more you give to the other actors, the better you’re going to be. CD: It is. I see it that way. The people who aren’t like that, they’re angry because they didn’t get the part. And angry with you because you didn’t get the job, and you’re telling them to go up there now. Like, why didn’t you tell them before? AR: Do you have a favorite role? CD: The next one I’m going to do. It’ll be my best role. I don’t know. I’ve done some pretty good stuff. One that nobody ever mentions, The Hindenburg, I played the captain of the ship. I did a few movies with Anne Bancroft, and that ain’t chopped liver. She’s a good lady and she went to the American Academy of Dramatic Arts, like I did, but she graduated. She had talent. AR: It must have felt great last year when the Academy of Dramatic Arts saluted your amazing career at their Legends of the Academy event along with Gena Rowlands and Anne Bancroft. CD: It did, especially because I had been kicked out for having “no talent.” I didn’t mention that part. AR: What do you think about acting teachers? Have you had any real influential ones? CD: I have never, really. Who’s the woman, that wonderful woman? Uta Hagen. I met her. 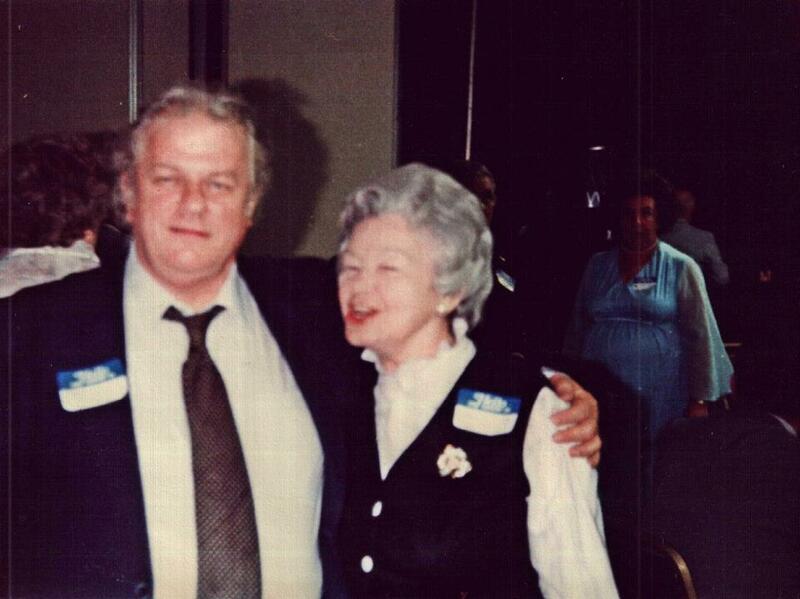 I was just sitting there minding my own business, and she said, “Who is this man?” And they said, “He’s a character actor.” And she said, “I always stand up for character actors.” And she stood up, and hugged me. That was the last time I ever saw her. After they kicked me out of the American Academy, I never studied with anybody. I’m stubborn, if I want to do something, I’ll do it whether they like it or not. AR: Residuals are always an important issue at SAG which, as you know, are how we all keep our head above water during the storm. Do you have long periods of unemployment? CD: Sure. Oh, yeah. I’ve been unemployed as much as a day and a half. No, I’ve had off periods of about a year or two. AR: And how do you deal with that? CD: Well, you go and teach dancing. That’s what I do. I still do that. Well, I’m getting a little older now, so I can’t. But when I did, I danced with Fred Astaire and he danced with me. We were at Burt Reynolds’s house, and he says to Burt, “Which one is Charles Durning?” And he pointed me out, and Fred says, “I hear you’re teaching at my school, let me see what you’ve got.” So I danced with him. He led me and I led him, and he patted me on the shoulder. Really nice man. AR: It’s been a pleasure talking to you, Charles. This site is owned by everyone who is or was a proud citizen of the area known as 'The Hudson Highlands'.